You are just waking up in the spring of 2030. Your Internet of Things bedroom opens solar powered e-windows and plays gentle music while your smart lighting displays a montage of beachfront sunrises from your recent vacation. Your shower uses very little water or soap. It recycles your grey water and puts the excess heat back into your home’s integrated operating system. While you dress, your artificial intelligence (AI) assistant shares your schedule for the day and plays your favourite tunes. You still start your day with caffeine but it comes from your IoT refrigerator which is capable of providing a coffeehouse experience in your home. A hot breakfast tailored to your specific nutritional needs (based on chemical analysis from your trips to the “smart toilet”) is waiting for you in the kitchen. When it’s time to leave, an on-demand transport system has three cars waiting for you, your spouse and your kids. On the road, driverless cars and trucks move with mathematical precision, without traffic jams, routine maintenance or road rage. Accident rates are near zero. En route, you call your R&D team, who are wrapping up a day’s work in Shanghai. Your life-sized image is projected into the China Innovation Centre and your colleagues see you as if you were sitting in the room. It's a bit surreal for them to see you in the morning light given that it's dark on the Bund, Shanghai's waterfront, though the novelty fades after a few uses. You review the day’s cloud-based data from your Shenzhen manufacturing hub, your pilot project in San Diego, and your QA team in Melbourne. The massive datasets were collected in real-time from every piece of equipment and have been beautifully summarized by your company’s AI. All these facilities are closely maintained and operated via a sophisticated predictive analytics platform. Pleased with the team’s progress, you end the call and ease into a good book. This is the future and it will be here sooner than you think. Here are 5 technologies that stand a good chance of impacting your daily life by the year 2030. 1. Say goodbye to your screens: Today’s virtual reality headsets are used for consumer entertainment, yet they are bulky and isolating. In the future, Light Field Displays may eliminate the need for a headset or display altogether, projecting 4D images directly onto your retinas from a point of focus. These devices may eventually be as unobtrusive as a pair of sunglasses. As next-gen “displays” replace our TVs, iPads and phone screens, the $3 trillion consumer electronics industry will reinvent itself. Manufacturing jobs, touted by politicians and lured with massive subsidies, prove useful for a time, but will ultimately be swept aside by the same processes that rendered previous jobs obsolete. 2. Say hello to your pet “Crispy”: CRISPR (Continuous Regularly Interspersed Short Palindromic Repeats) is a biochemist’s way of saying that we can cheaply and reliably edit genes. 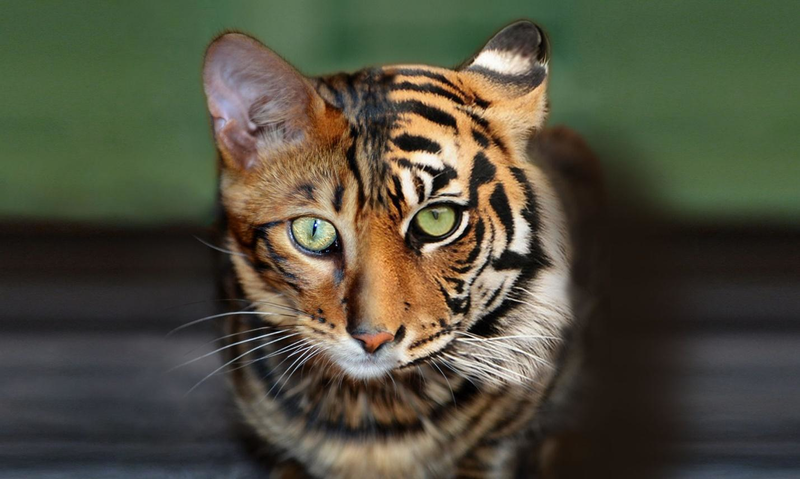 Today, cat lovers crave exotic breeds, such as the toyger. Tomorrow, your family pet may be a genetically engineered tiger, yet the size of a common housecat. Should regulatory bodies ban CRISPR technologies in humans, underground labs will flourish worldwide, as parents aim to eliminate congenital genetic disorders or give their kids a heritable advantage in school and life. This will create new disparities and stigmas. Criminality and human trafficking will take on a new dimension of insidiousness when genetic identity no longer can be confirmed. 3. Biofacturing – growing organs and skyscrapers: Perhaps the single most disruptive change will follow developments in genetic engineering, as bacteria, algae and other cells become the factories of tomorrow. If you like the idea of being vegetarian, but love meat, perhaps you can be “degan” and only eat meat that was produced without killing. Today, companies like Beyond Meat and Memphis Meats are perfecting deathless protein. Imagine a guilt-free steak with beneficial omega 3 fatty acids in lieu of cholesterol. Tomorrow, products like automobile frames may be “woven” from graphene and spider silk or skyscraper frames grown from bedrock to the clouds by an array of microscopic creatures with little human intervention. 4. Ads – a necessary evil: Someone has to pay for all of this change, and it is still going to be us in the form of targeted advertising. Your communications device, or whatever replaces functions currently served by today’s cellphone, may be free or heavily subsidized. But you won’t be able to skip the latest immersive advertising, at least without paying a fee. You will be more connected than ever before, though advertisers will find clever ways to influence your behaviour, based on the same biometric technology that monitors your health. 5. The age of implantables: As our world changes, scientists believe that humans’ brains will continue to get bigger, our lifespans will increase, and our cultures will continue to evolve and merge as we adapt to new environments. Today, you can have 20/10 vision with LASIK. Tomorrow, you may add infrared zoom lenses to your vision making 20/1 vision possible (hawks are estimated to have 20/5 or 20/4 vision). Today, we have wearable devices that can detect magnetic north and give a SONAR-like capability (useful for the visually impaired). Tomorrow, you will meet your “always-on” virtual assistant. Eventually, our descendants will be unrecognizable. Change may arrive as a gentle breeze or as a violent, category 5 typhoon. Geographies that embrace change will enter a new age of prosperity. They will create the jobs of the future. New household names will emerge and new titans of industry will be celebrated. Those that cannot embrace change will stumble. Some countries have homegrown movements that are hostile to science. They fight battles of the last century, engaged in recriminations of past wrongs. They politicize science while mired in debt and financial and political paralysis. It is not hard to predict the long-term results of such actions. These countries resign their citizens to the wrath of economic stagnation. Which path will your country choose?